Martin left South Park to attended Bowling Green State University on a wrestling scholarship where he followed his family footsteps and studied restaurant and foodservice management. After university, work took him to restaurants in the Detroit, Ann Arbor and Toledo metro area until Marriott Corporation lured him to Washington, DC. to take a position in the World Bank foodservice. After several years working for Marriott, Martin’s career took a detour. He returned to school to study Microbiology at University of Maryland with an eye toward heading to medical school. Several years of working as a research technician at Walter Reed, Martin realized that he truly missed cooking and decided to return to the kitchen. He hasn’t looked back since that day. After working at several different restaurants in the Washington, DC area, Martin accepted the position at I Matti Trattoria. Three months later he took over as Executive Chef. During his tenure at this renowned Italian Trattoria in Adams Morgan, Martin took the opportunity to travel and work in Torino, Italy, at the prestigious Ristorante Del Cambio. After five years at I Matti, Martin received an intriguing offer to work for a season as the chef a safari camp in South African. Always one for an adventure, Martin accepted. Living on safari, he hunted and prepared wild game daily for the camps guests and staff. At the end of the season, Martin wasn’t ready to return to the United States. Instead, he traveled to Cape Town and worked at the famous La Perla Restaurant in Sea Point. Later, and still eager to experience new locations, he accepted an offer to open The Wijnhuis restaurant in nearby Stellenbosch. After a stint in the South African wine country, Martin took the long way home, traveling and sometimes working in London, Ireland, Scotland, Wales and Turkey before eventually returning to Washington, D.C. Upon returning to the United States, Martin worked at several Restaurants in the DC & Baltimore area including Gallileo, The Caucus Room and Blue Sea Grill. Wanting a break from the daily grind of the restaurant scene Martin took a few years off and worked as a freelance catering chef, honing his skills and biding his time looking for the perfect opportunity. Again, however, his love of the restaurant kitchen beckoned him home. 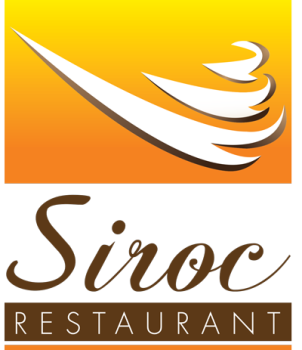 In early 2008, Martin teamed with brothers Keram and Mehdi Dris to open Siroc Restaurant. Martin lives in Kensington, MD and is married to Stacey Mitchell. Their son, Jack Mitchell, born in 2009, can be found on rare occasions helping his father in the kitchen making fresh pasta or rolling gnocchi. Martin is an avid whitewater and slalom kayaker, road cyclist and skier. Most days off you will find him on the roads or rivers in the DC area.